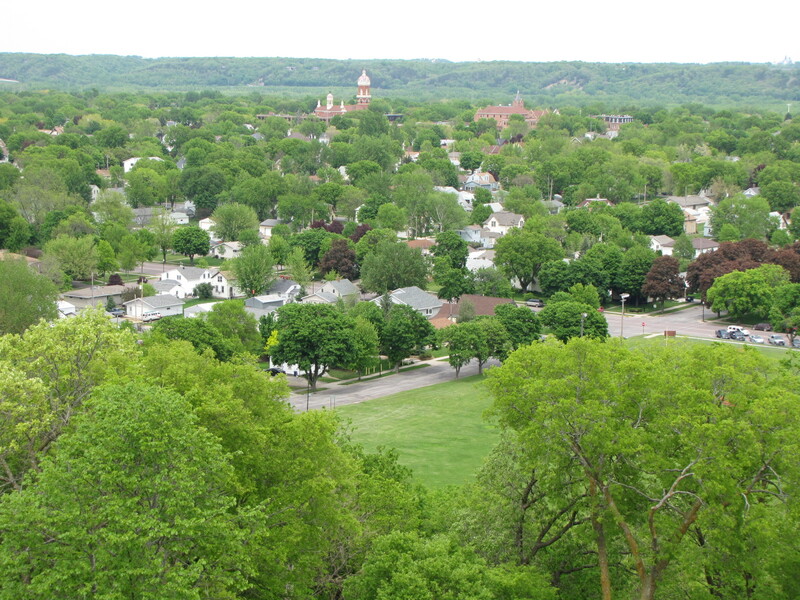 There is a mini-controversy brewing in New Ulm again, which shouldn’t be surprising. It seems that any change, no matter how small, is met by some amount of disagreement. Verizon wants to add a new cell tower to replace the network equipment that is going down with the aging water tower nearby. The issue is that the residents don’t want it going up within sight of their backyard. The funny thing is that they would support adding such a tower if it were in someone else’s backyard, more than likely. Either that or they wouldn’t care and just reap the benefits of better coverage and service when the new tower came online. Someone’s backyard is going to be within “eyeshot” of any new tower. Someone’s property is going to be adjacent to any new tower. In any somewhat-developed area you are going to need to add towers as far inward as you can. You can’t avoid that. I don’t think anyone would complain if we could just blanket whole areas with a single tower and provide the sort of service that people want and expect. Just read up on all of the complaints about AT&T and the iPhone when the 3G iPhone was released. Read about the network congestion and problems people had. The way you fix those issues is to build out the network by adding towers … or by getting fewer people to use the existing tower. One way to have that happen is to force people to move (I guess). When I talk about wanting to bring better network infrastructure to rural Minnesota, I’m not even thinking of trying to bring new people into the area. I’m not worried about bringing the next Google, or Facebook, or Goofacetubtwipple. No, I’m thinking about the people who are already here with small businesses and jobs already here. I’m thinking of the small business owner who wants to finally add credit card processing using something like Square on an iPad. A LTE connection removes a barrier of entry for something like that to work well. No longer do you need to have a separate internet connection for your business, but an iPad with LTE and a Square reader gets you started. There is a lot of opportunity to bring about minor, yet significant changes to rural areas by expanding and improving the network infrastructures in the area. The next time you are complaining about your property values going down with the addition of a tower nearby, think of how much your values would drop if a percentage of the population left instead. I don’t want to trample all over correlation and causation, but there is a lot in play here. Let’s let go of the past just a little bit so that we might march into the future together. I think your argument would be much more valid if the entity that would profit (MLC) from the location of the tower had not rejected all of the proposed locations on campus except the one that was a as close as possible to the maximum number of residences that are not owned by the college. I would imagine that it would hold more sway, yes. However, I still feel the basic outline stands above regardless of what the entity would do. A similar issue was brought up where my in-laws own a home and it was stalled for four years because of complaints but now that it has gone up the complaints and issues have quieted down because the benefits were tangible while the issues brought up were negligible, at least in their case. Granted, it is NOT in my back yard (this time), but I’d like to think that if it were, I would have supported it in any case.